People living with dementia struggling with the sudden loss of mobility associated with giving up their car keys are set to benefit from a new program designed to make the transition “easier”. Researchers from the University of Queensland created and developed a the CarFreeMe program to combat the “devastating effects” sudden loss of mobility can have on people with dementia. Dr Theresa Scott, from the University’s School of Psychology, says the program being trialled in Canberra and surrounding Southern New South Wales regions engages with people with dementia as well as their families. “Mobility impairments and loss of driving may lead to people becoming isolated and house-bound, and at increased risk of depression and anxiety,” Dr Scott explains. Dr Scott adds that for people who have stopped driving, the study provides tailored information for alternative mobility support services so they can continue to be actively engaged within their communities. She says the participants - people with dementia aged 65 years and older who are still driving or who have stopped driving - will be the first to trial “innovative technology” to meet with health professionals and develop tailored solutions to their individual needs - with the support of local occupational therapists. “Care partners of family members can also receive education and support to assist them to manage this significant life change for their loved ones,” Dr Scott continues. Dementia Australia’s Chief Executive Officer (CEO) Maree McCabe says the peak body welcomes evidence-based approaches to support people living with dementia who are adjusting to life without driving, and recognise the CarFreeMe initiative. “For quality of life and wellbeing, it’s vital to think about and plan ways that a person living with dementia and their families and carers can keep mobile, active and socially connected in the transition to non-driving. 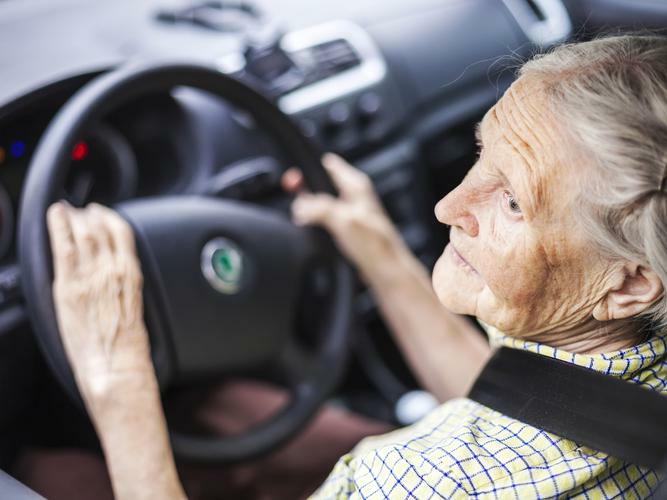 “A diagnosis of dementia does not always mean that a person has to give up driving straight away because the condition involves a gradual decline in cognitive and physical ability, however, they will need to stop driving at some point. “For many older Australians, and particularly those with dementia, relinquishing their driver’s license is a pivotal and potentially overwhelming event. “The decision to hand over the car keys can prove difficult, leaving many feeling as if they have lost their independence...giving up driving can be very difficult for many people, and the sense of grief and loss can be ongoing. “That is why it is so important to start the conversation early if a person living with dementia is showing signs that their driving could be impaired. More information on the CarFreeMe program is available online.